We love making and trying different play recipes. 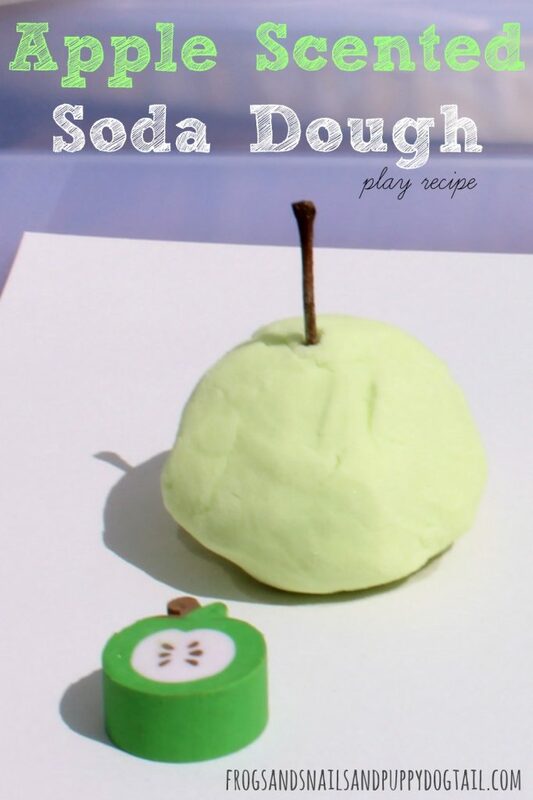 Today we used a fun recipe to make Apple Scented Soda Dough. 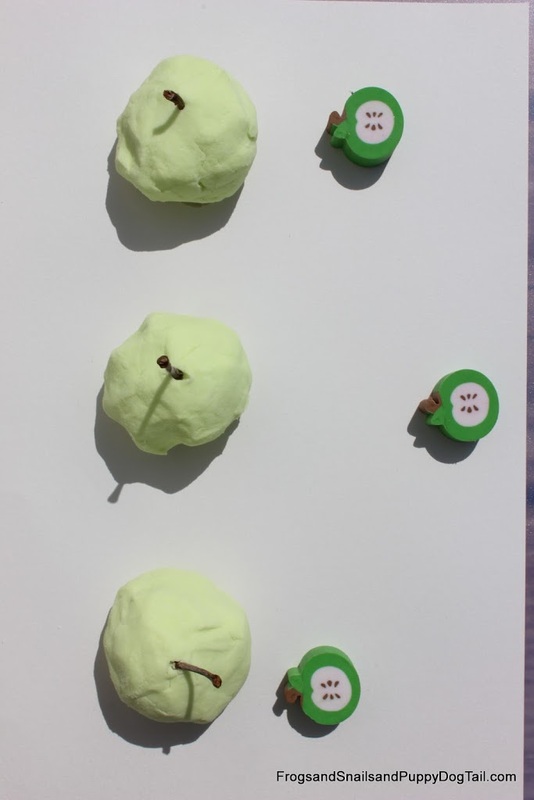 This one is a green apple scent so, a little different from our other scented play over the last few weeks. I love it just as much as the kids do. 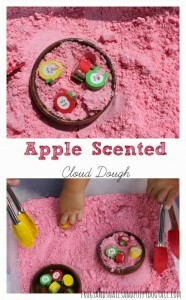 We had fun exploring and playing with the apple soda dough. 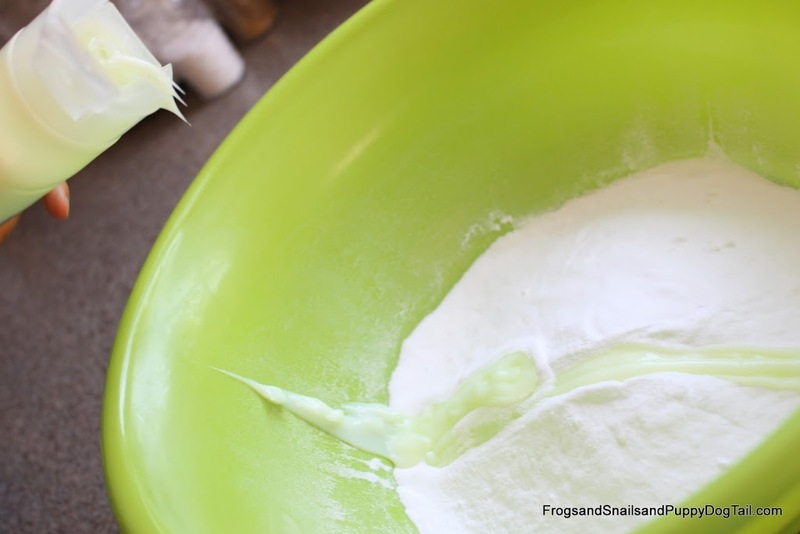 I emptied one box of baking soda into a bowl. Then my son started squeezing in the conditioner. More than I hoped, lol. 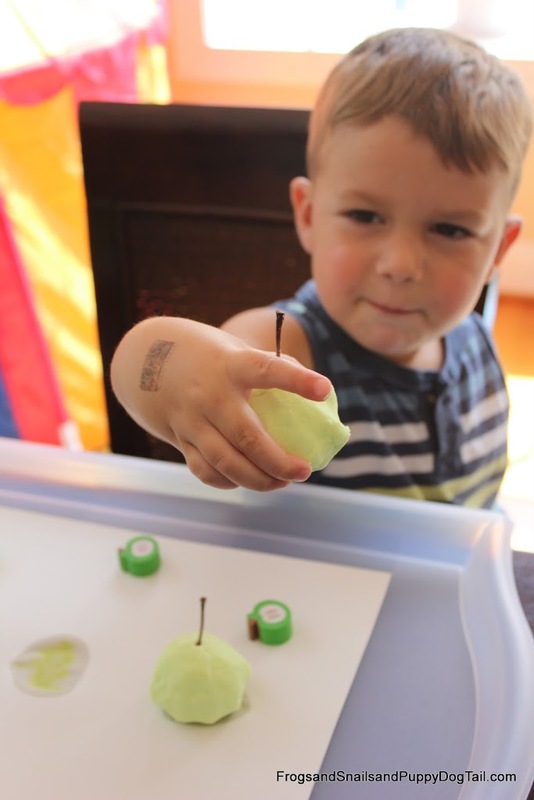 We added a few drops of green food coloring and started mixing with a spoon at first. 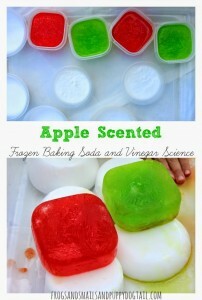 We had to add 3 cups more of baking soda to the mix to get it moldable and not runny. You can see the bottle in the photo above. 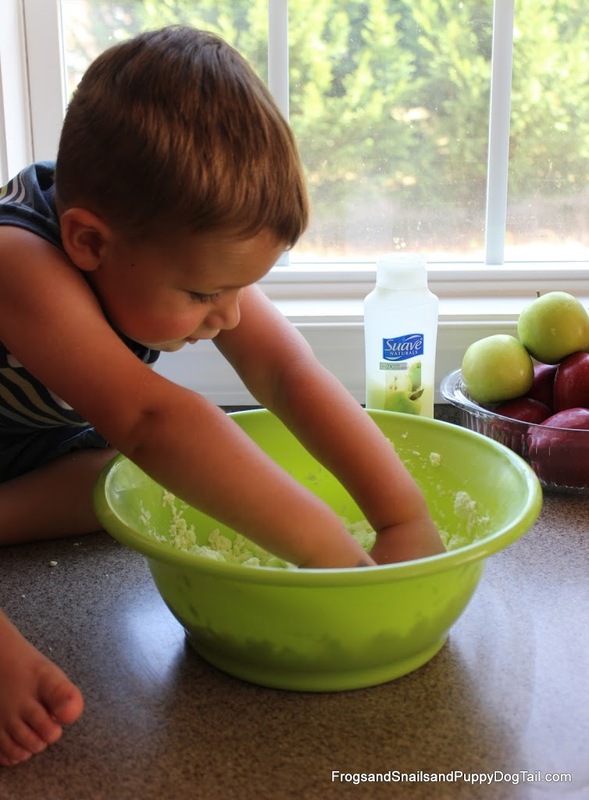 He used almost half the bottle of hair conditioner. 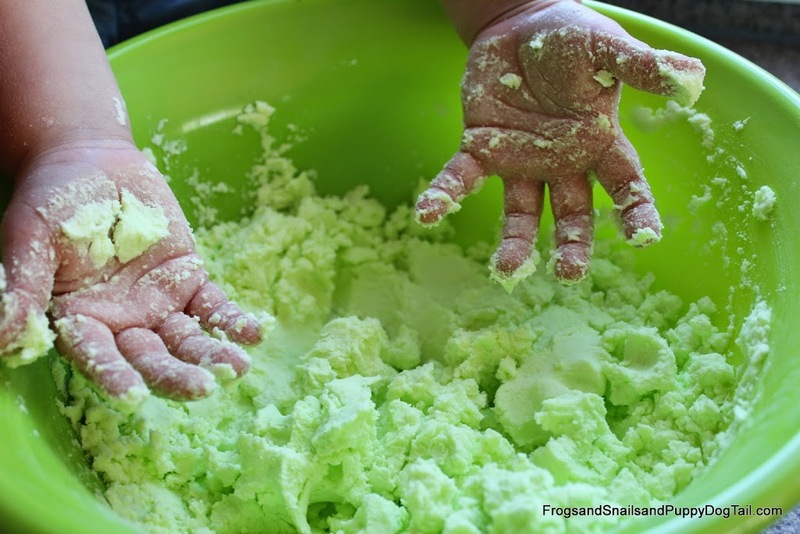 Now we started mixing it with our hands. 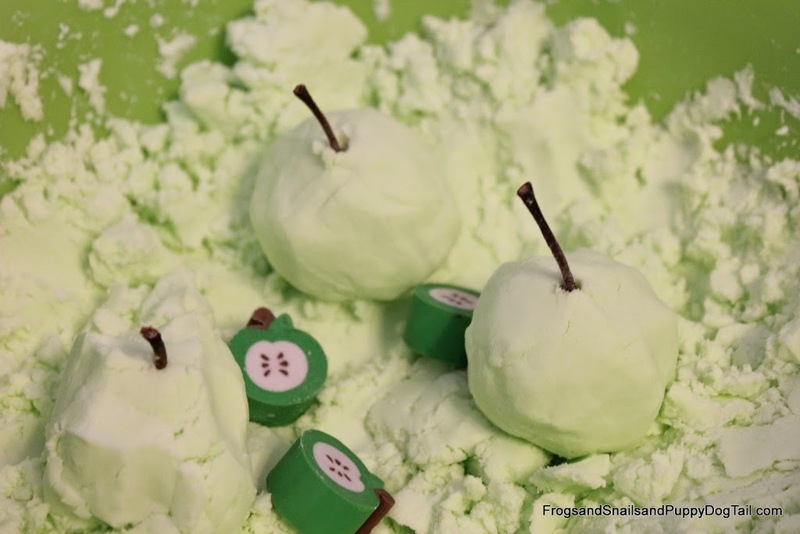 Of course I loved the smell of green apples as we mixed up the apple soda dough. 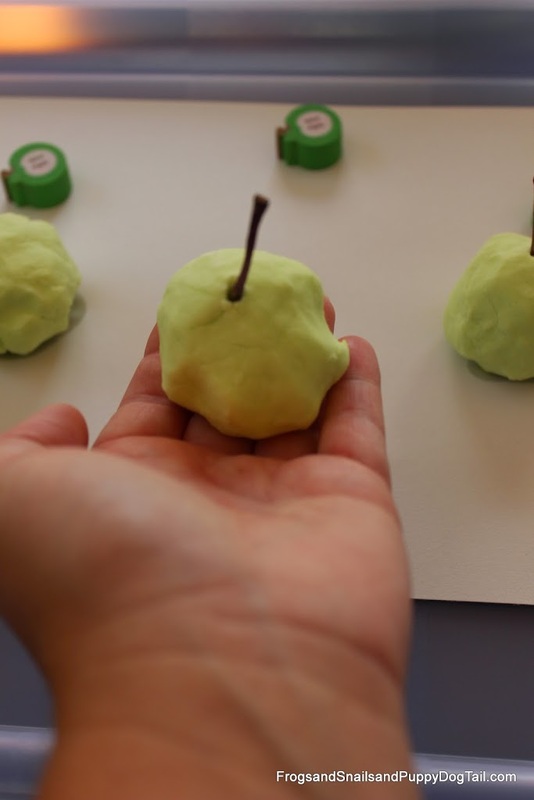 We had some left over apple erasers I grabbed and a few stems from our real apples on the counter. Nothing fancy for playtime but it was fun! 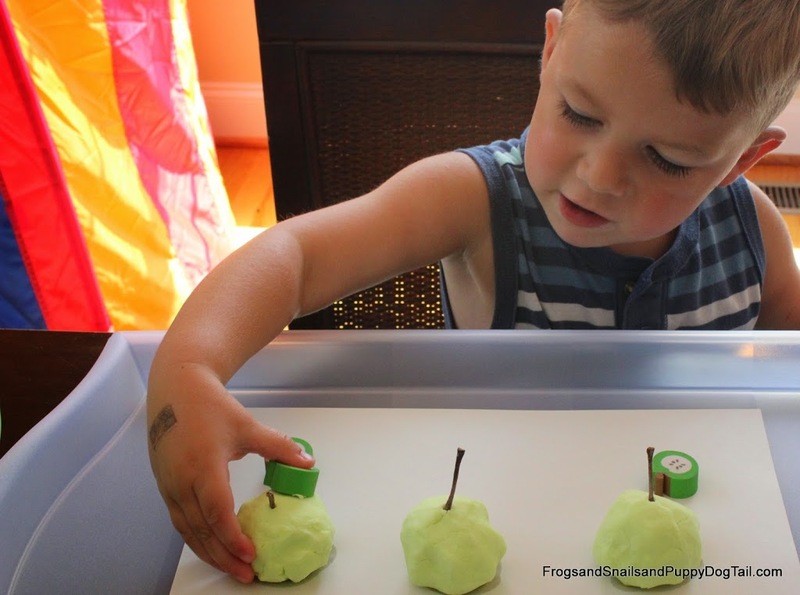 We made some apples and then he mashed them up. I went over the color green. He gave me an apple to “just pretend you eat it mommy”. I said ok.
We enjoyed exploring with our sense of smell, touch, and sight. 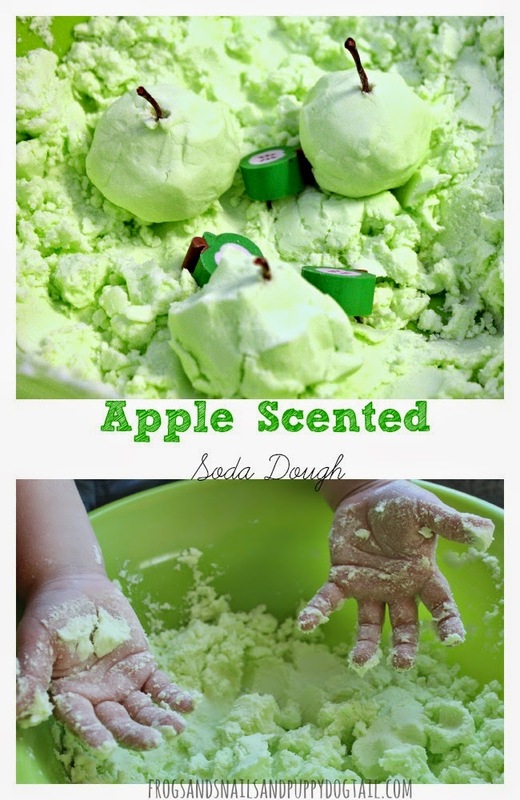 We have the apple scented soda dough in a bowl on the counter covered with foil. We hope to play with it again. Since this is the first time we have made it, I am not sure how well it will keep. 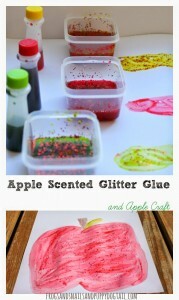 It is cheap and easy to make so even if we get one fun day out of it I will be ok with it. This post affiliate contains links. 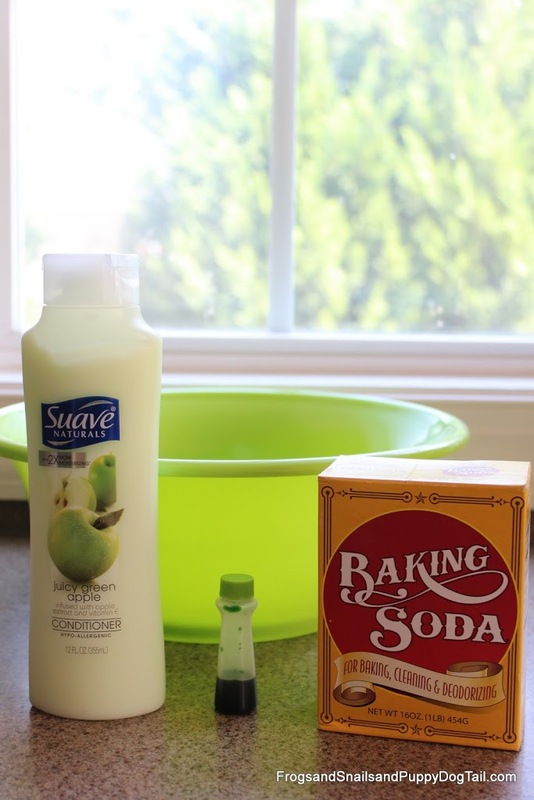 We haven’t made soda dough before… Love using scented shampoo to make up the dough!